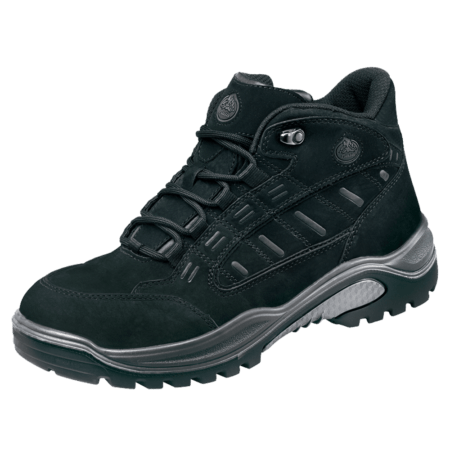 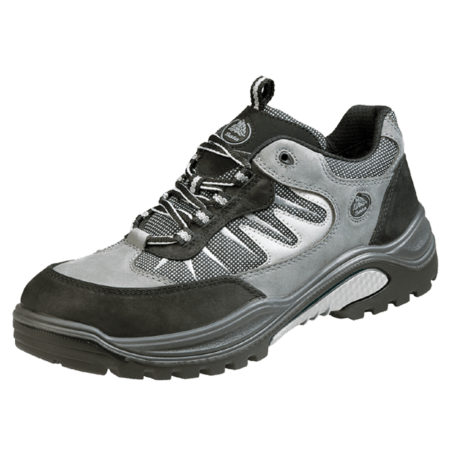 This S3 safety category shoe has a high cut model and features a black color. 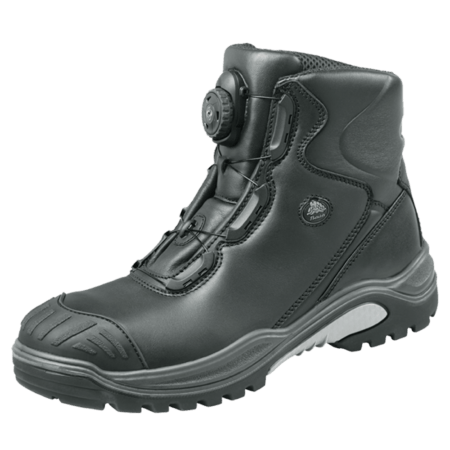 The Traxx 219 features a TPU outer toecap which offers extra protection from wear and tear on the leather surrounding the toe area. 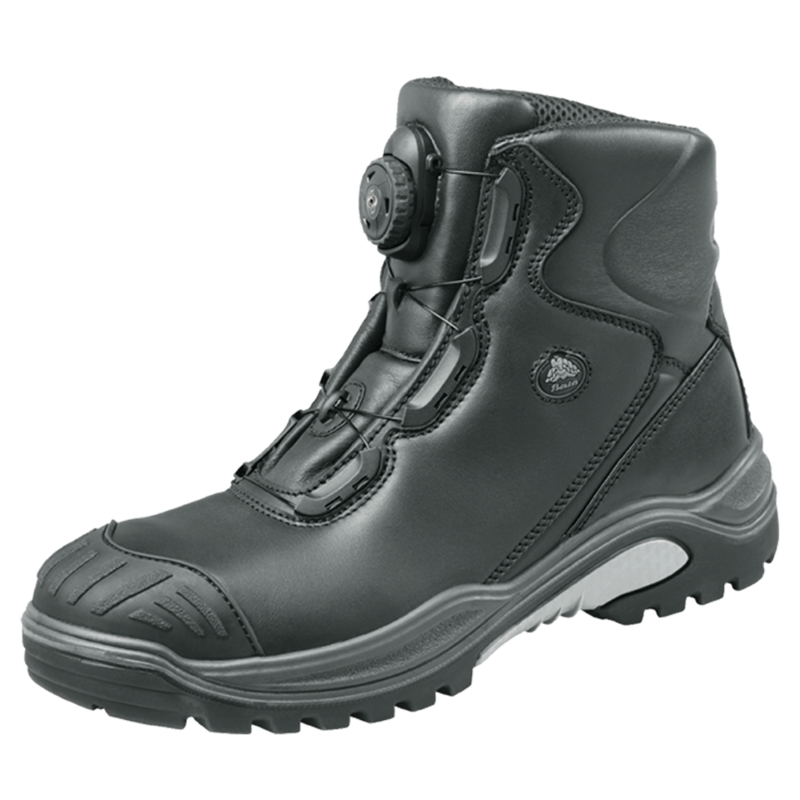 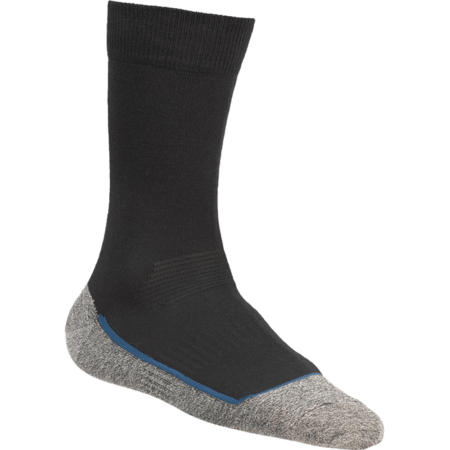 The steel toecap protects the feet from heavy falling objects. 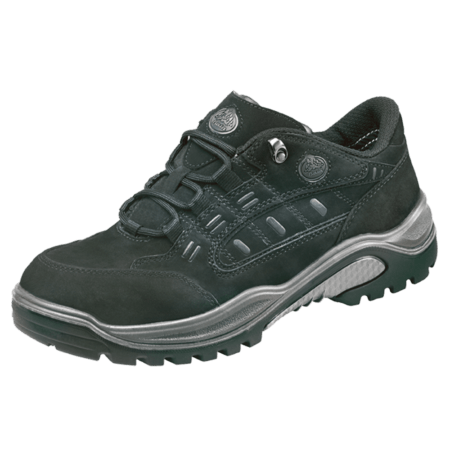 The safety shoe with a composite midsole protects the feet against sharp objects penetrating the bottom of the sole. 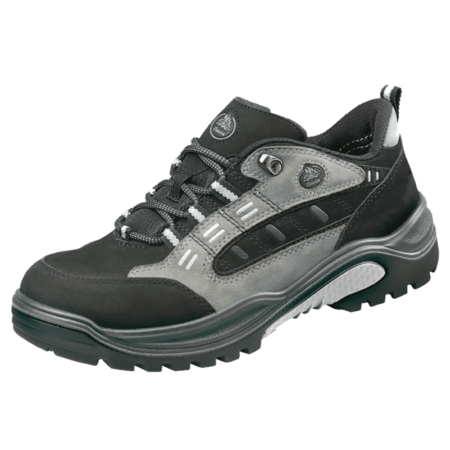 The Traxx 219 model is for men and women.